It’s been more than a week since political consulting firm Cambridge Analytica was found to have illicitly gathered data on 50 million Facebook users for the purpose of helping Donald Trump’s 2016 presidential campaign. And concerns about data privacy have remained at an unprecedented high and sustained fever pitch since. Facebook — facing intense scrutiny from users, Wall Street and the FTC over its role in the data breach — mounted a mea culpa advertising campaign this past weekend, buying bus ads, Spotify ads and full-page ads in The New York Times and a host of other prominent U.S. and UK newspapers. The efforts were somewhat nullified, though, by Irish Twitter user Dylan Curran, who went viral for a Twitter thread about all of the data Facebook and Google has captured on him over the years. Curran’s tweets inspired scores of other prominent Twitter users to follow suit, and tweet out the reams of personal data Facebook and Google has collected on them, too. People were appalled at the sheer depth and breadth of the information, as well as how far back it went. The reality is that this kind of data collection has been going on for more than a decade. After years of mindlessly agreeing to let technology companies track and collect their every keystroke and smartphone tap, people are finally coming to the realization that they might not be comfortable with it. And Donald Trump appears to be the catalyst for this sudden interest in data privacy. Five years ago, I wrote an article about Google using people’s smartphone location data to track which stores they visit. Google was taking advantage of a loophole that allowed the company to “passively” track users’ location data — that is, Google was tracking people’s whereabouts even when they weren’t actively using a Google app, such as Google Maps. If a user left Google Maps open, running the background, Google could still collect that person’s data information. All of this was above board in a technical legal sense; Google users consented to it as part of the terms of service. But Google wasn’t exactly upfront about the nature of its data gathering, either. “There’s a gap between user expectations and what apps are really doing,” Dan Auerbach, staff technologist at internet advocacy group the Electronic Frontier Foundation, said at the time. But Google wasn’t pilloried for this data-gathering technique. Instead, Google was regaled for providing the “holy grail” of advertising: a way to connect people’s online behavior and offline purchases, and thus prove whether certain ads were working. Now, this is the very data-tracking technique that Curran expresses shock over in his Twitter thread. I don’t expect Curran to read inside baseball news about the tech and media industries, but my piece on Google was hardly the first time a tech company made headlines for playing fast and loose with user data. Facebook’s first major brush with data privacy controversy occurred more than 10 years ago, when it tried to launch a program, Beacon, that would allow Facebook to track what users were doing on other websites. The program resulted in a brief controversy and a privacy lawsuit, but users quickly forgot about the program. In fact, Beacon paved the way for Facebook Connect, which let users sign into other sites with their Facebook account — the very program that allowed Cambridge Analytica to abscond with user data. Users didn’t even’t care when Edward Snowden revealed that Facebook, Google and a host of other high-powered tech firms were giving user data to the National Security Agency to conduct unwarranted surveillance on American citizens. That surveillance was predicated on the same data-gathering methods Facebook and Google use to sell ads, and the same ones Cambridge Analytica exploited. And those companies gave us the same hollow PR statements about caring about their users that Facebook is giving us now. Hardly anyone remembers Beacon. And not even the threat of an Orwellian government surveillance apparatus could keep people off Facebook or convince them to use Bing instead of Google. But Trump’s mere presence has seemed to have ushered in an era of heightened political awareness and activism, in general. The crowds at the Women’s March in Washington in 2017 made it the largest mass protest in known American history. After dozens of horrifying mass shootings, the recent tragedies in Las Vegas and Parkland have elicited an equally unusually sustained call for gun control legislation. Ordinary people now regularly discuss the esoteric details of international trade policy. And now they suddenly care about the data they’ve been sharing with tech companies all these years. Whether this concerns over data privacy continues into the weeks to come remains to be seen. Facebook’s stock has been down since the Cambridge Analytica scandal broke, as Wall Street worries about users abandoning the service due to privacy concerns. But if history serves, this scandal, too, will be eventually forgotten. That people are willing to tweet out their personal Facebook and Google data shows just how little people care about sharing their personal data. 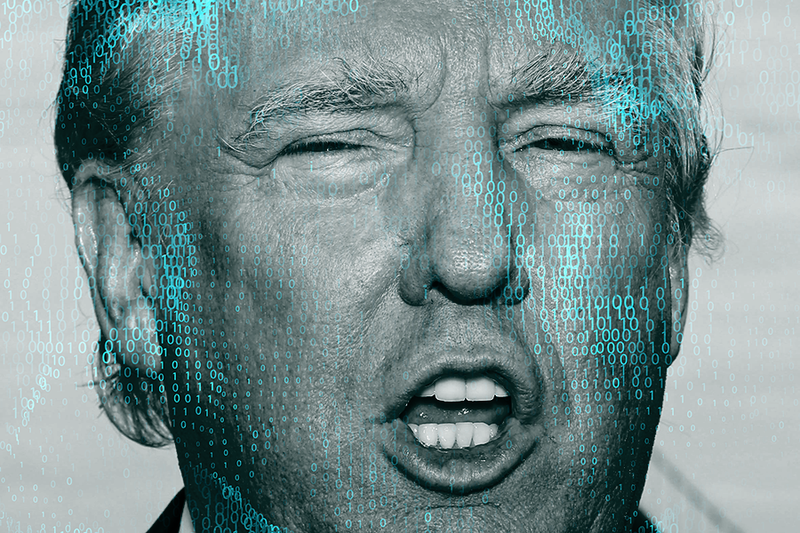 That it lasted this long, though, is testament to Trump’s ability to get us to seriously consider the ramifications of digital data-sharing — even if just until the next scandal takes it place.